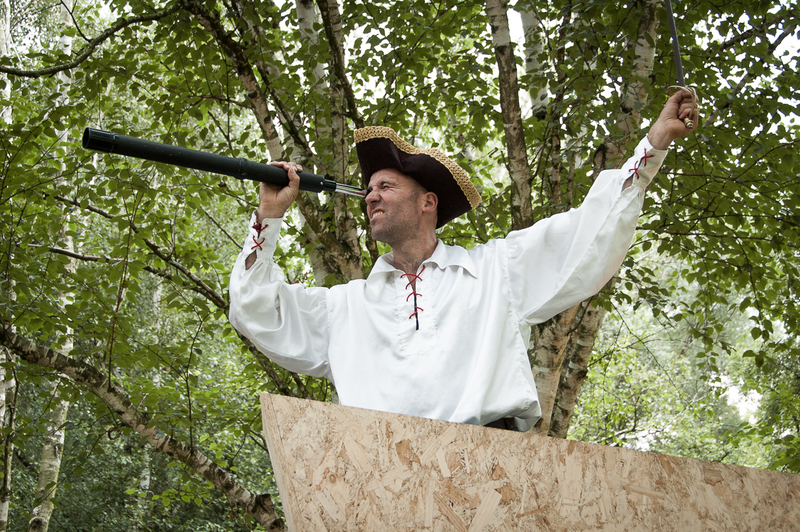 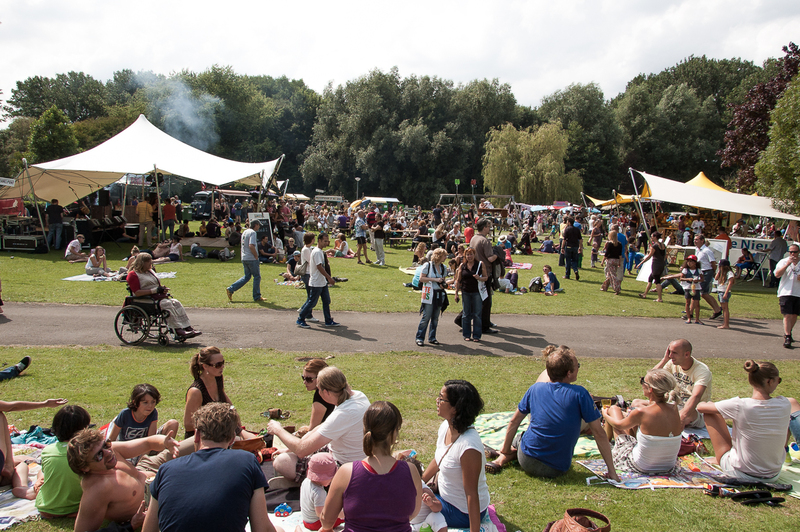 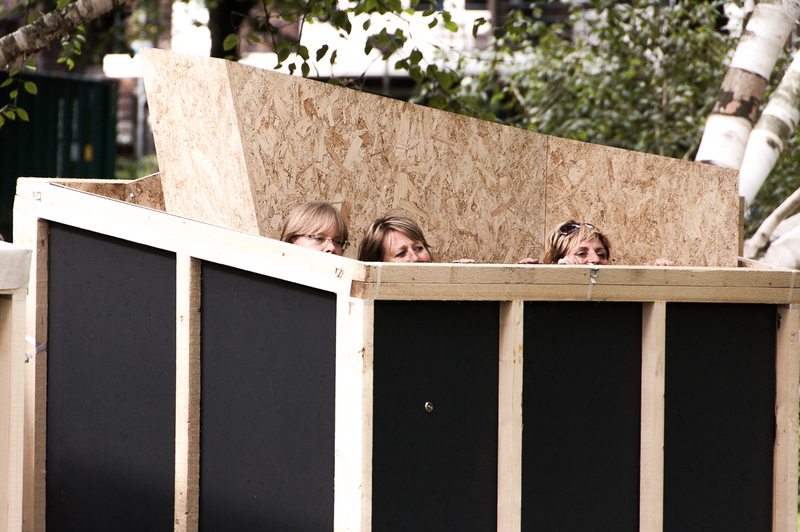 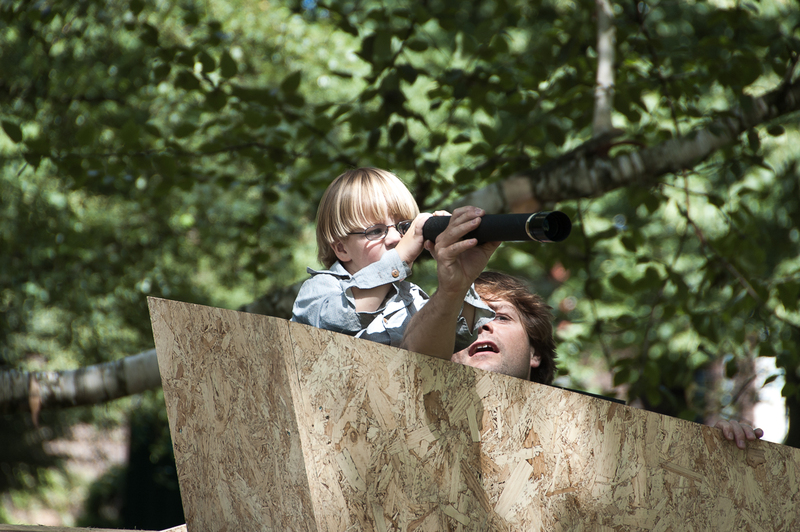 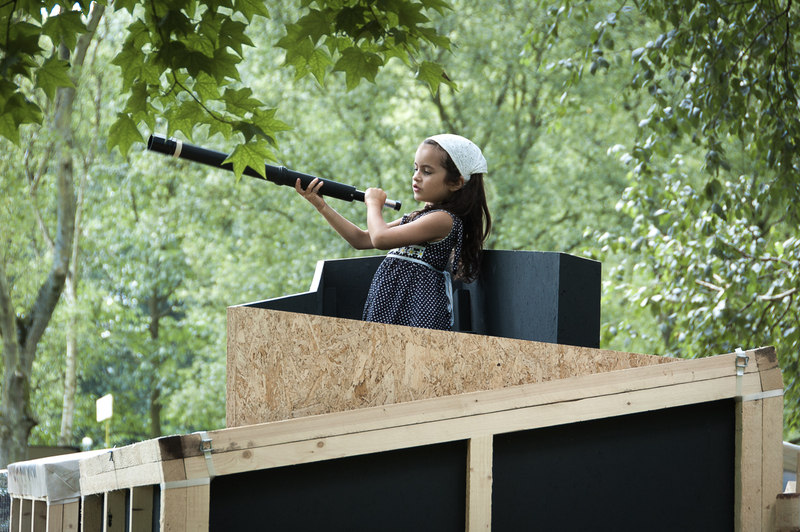 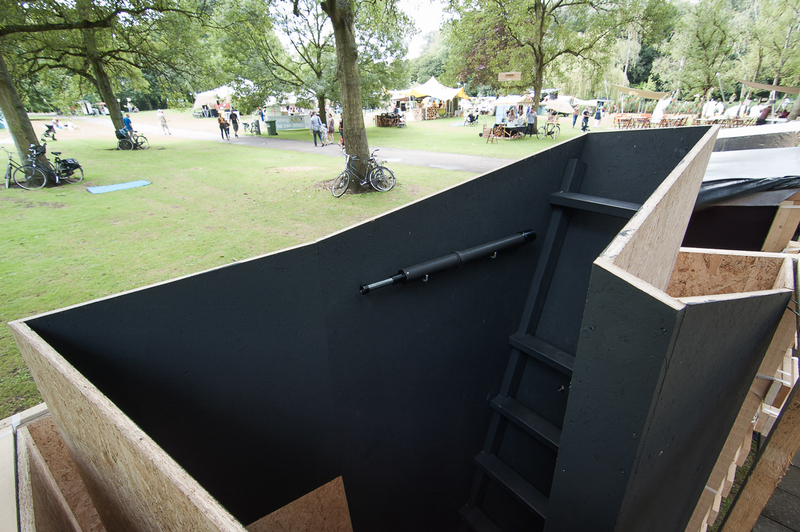 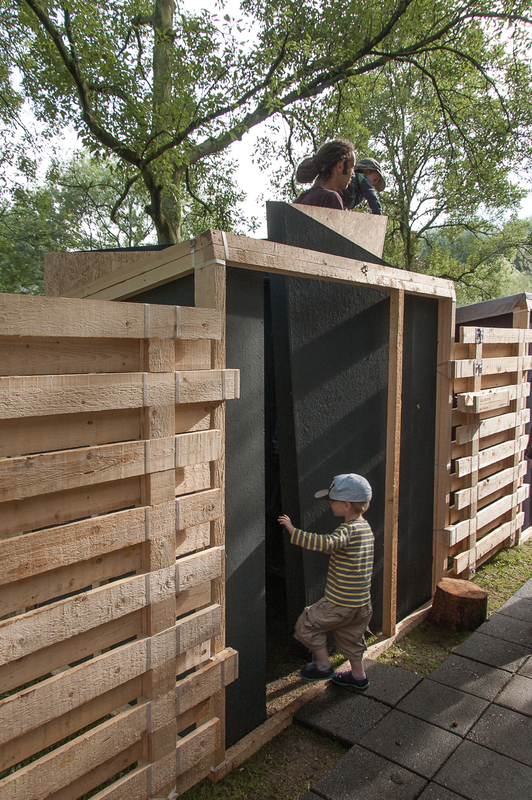 In the summer of 2012 I was invited to take part in a collective installation at Duizel in het Park festival, Rotterdam. 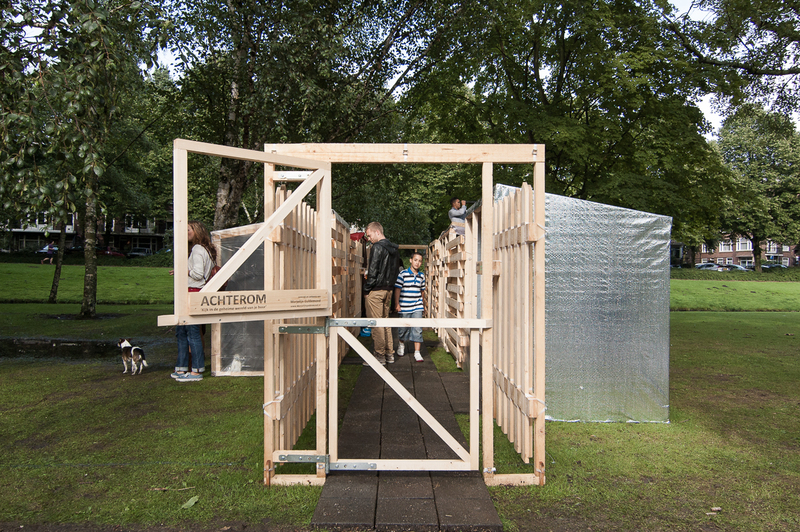 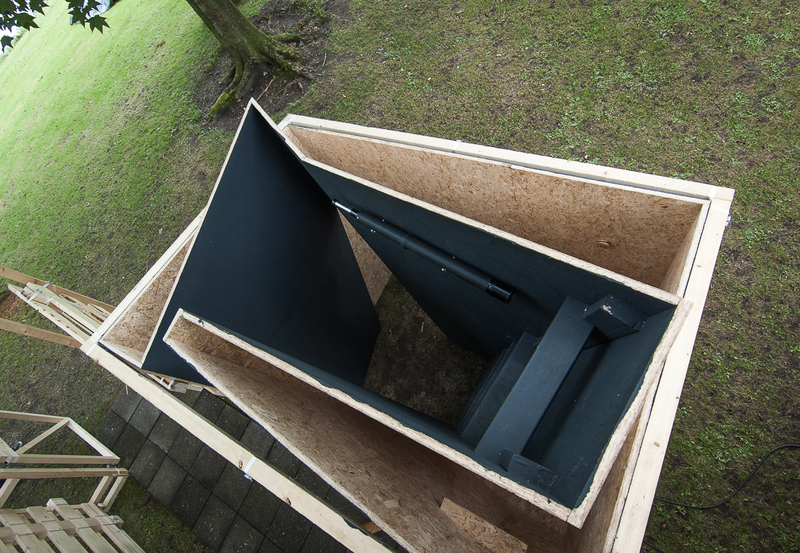 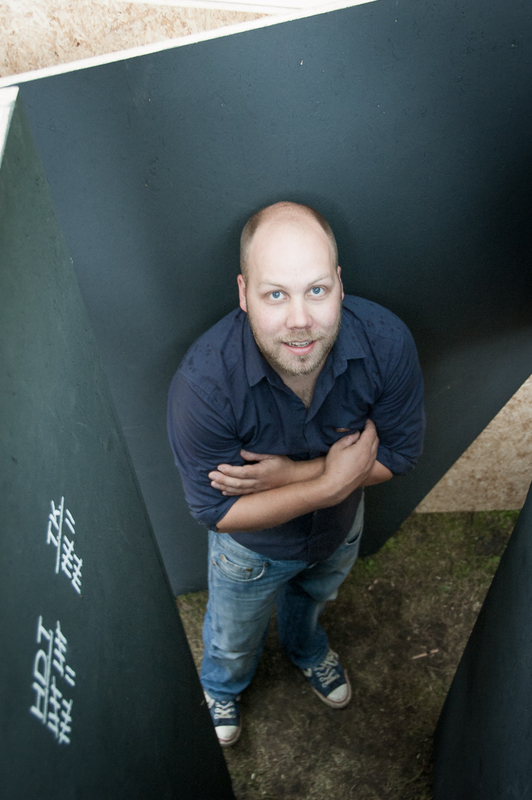 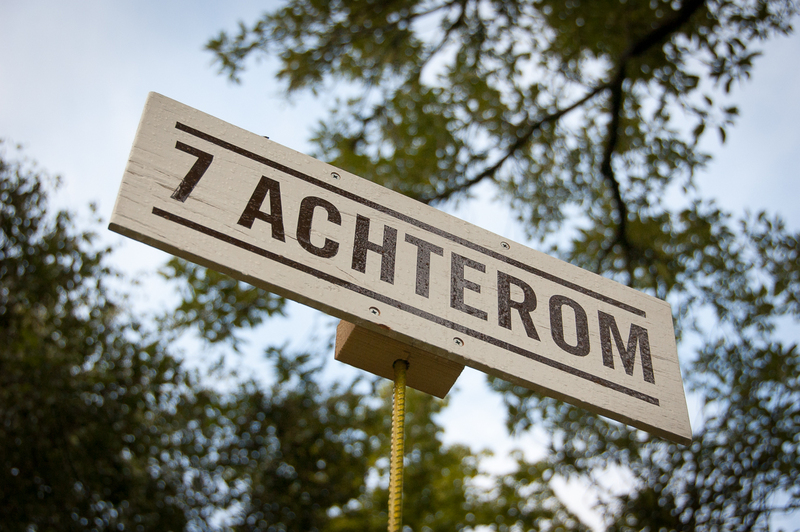 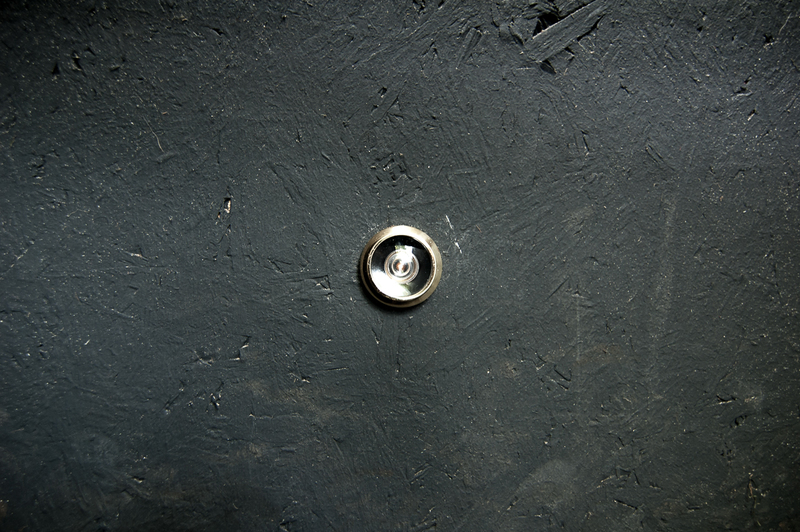 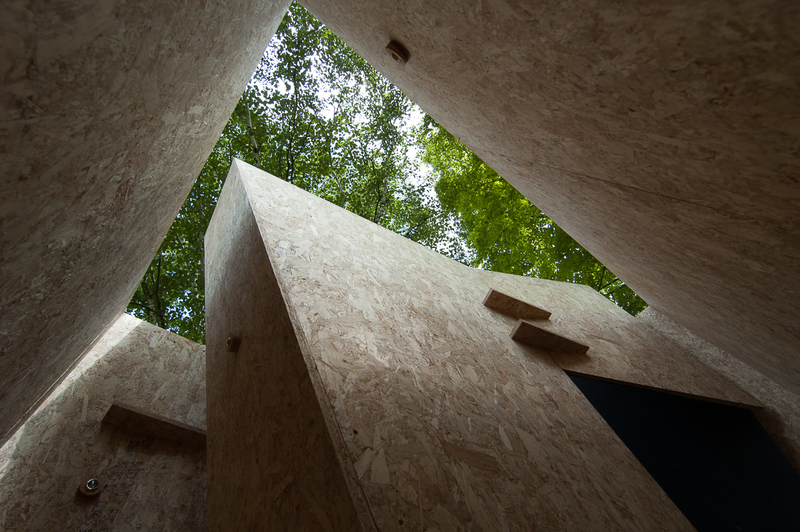 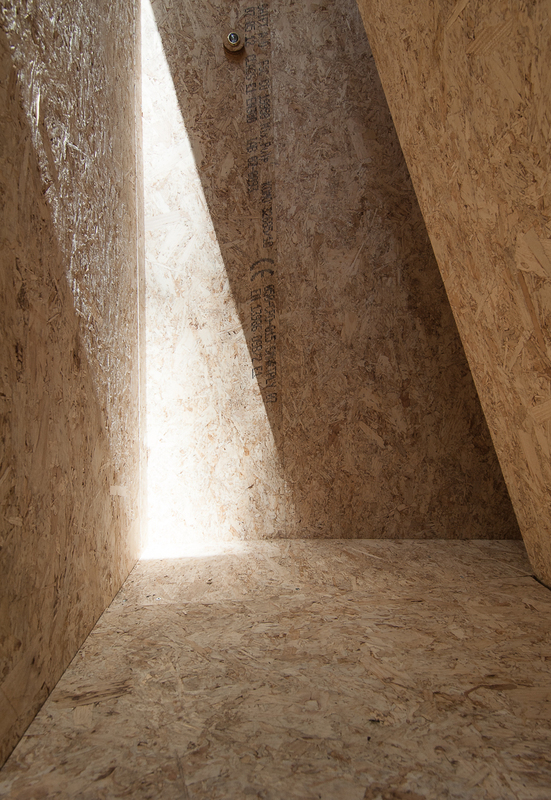 The installation named ” Achterom”, meaning something like “behind” or “backside”, was initiated and curated by artist/ architect Marjolijn Guldemond. 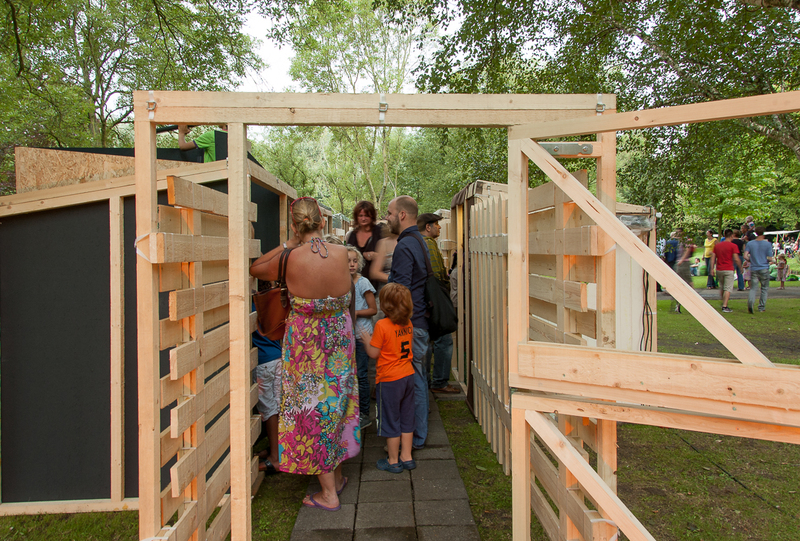 The construction of fences and sheds Marjolijn designed depicts a traditional Dutch alley that is to be found behind a row of houses all around the country. 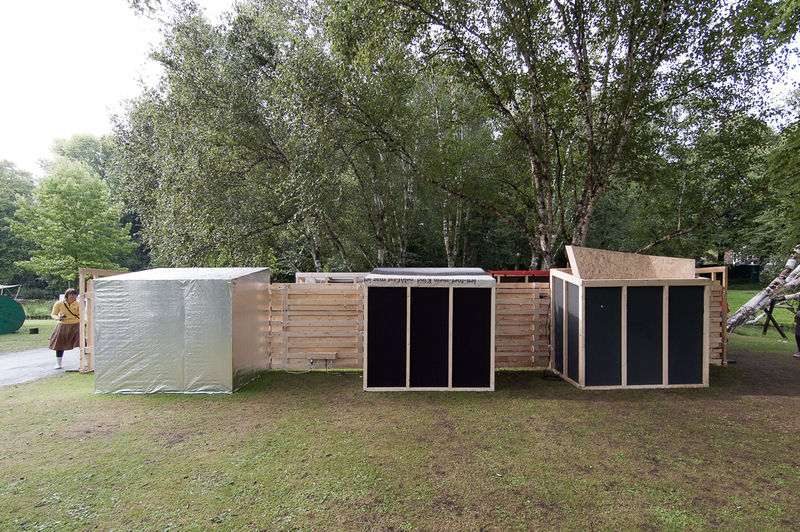 With four other artists/designers/theatre-makers, I was asked to fill a predefined shedshape with my ideas of what could be hidden in the banality of the shed. 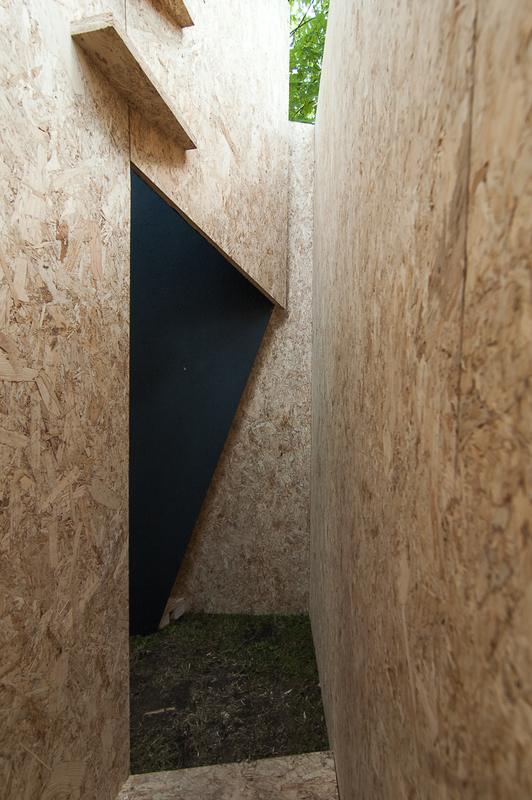 I decided to fold the walls of the shed in such a way that some extra dimension would be given to the relatively small volume. 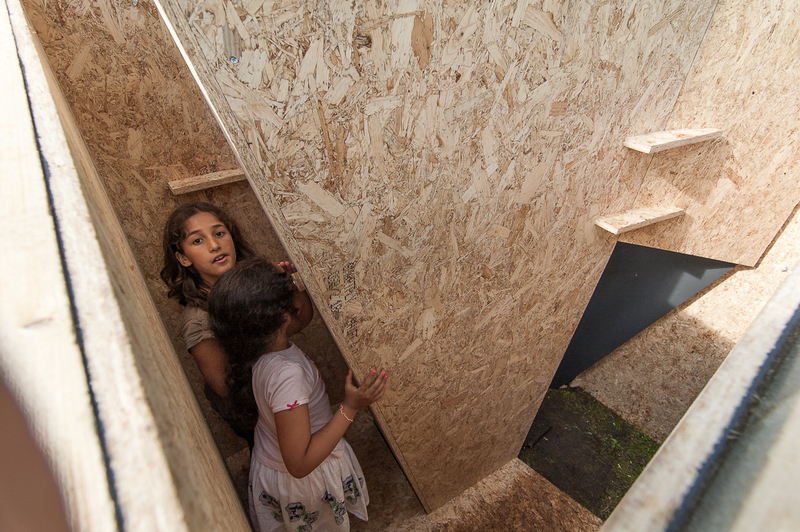 Two kinds of spaces emerged: space within the walls, and a lookout. 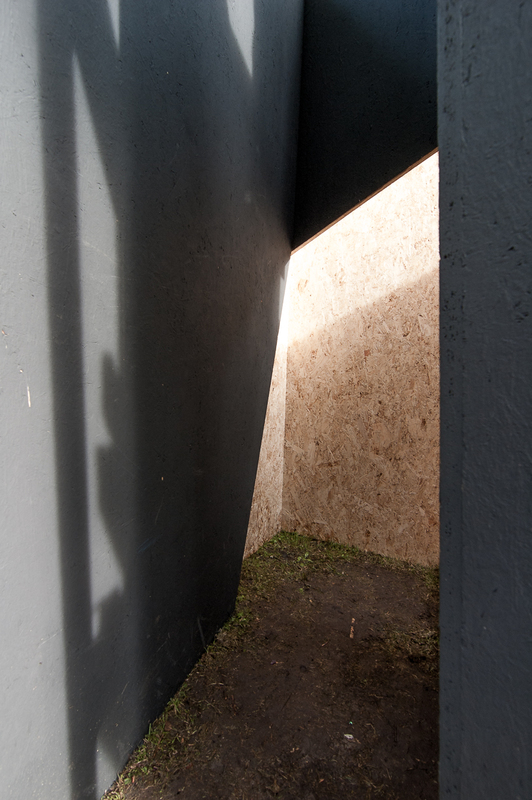 In more than one way the spaces play with the ideas of interior and exterior, observing, hiding and seeking. 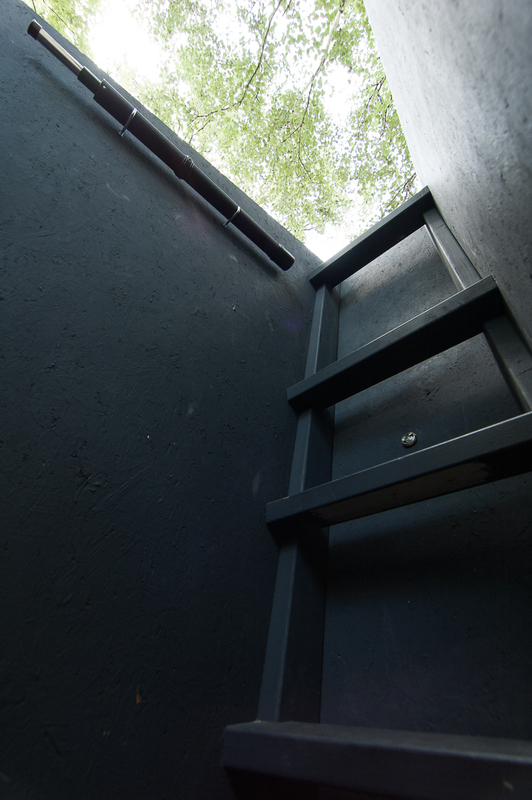 Between each space, and the outside world. 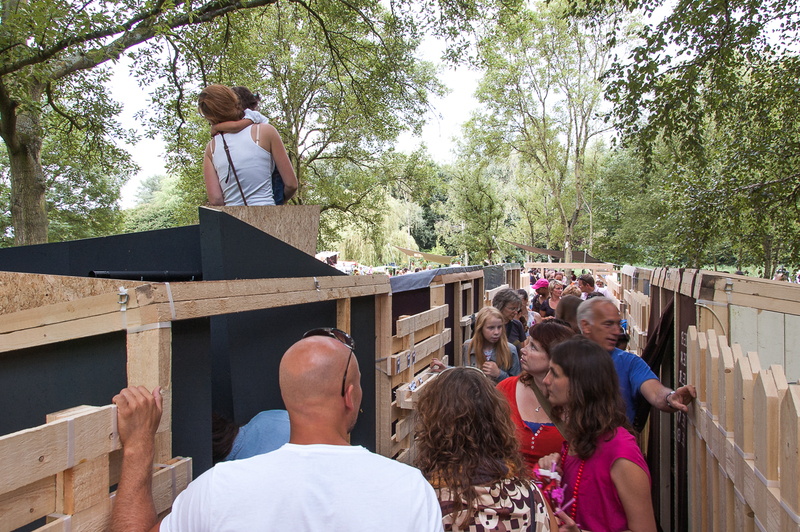 It was really great to see how visitors, young and old, engaged with the structure and to hear the multiplicity of interpretations they came up with.